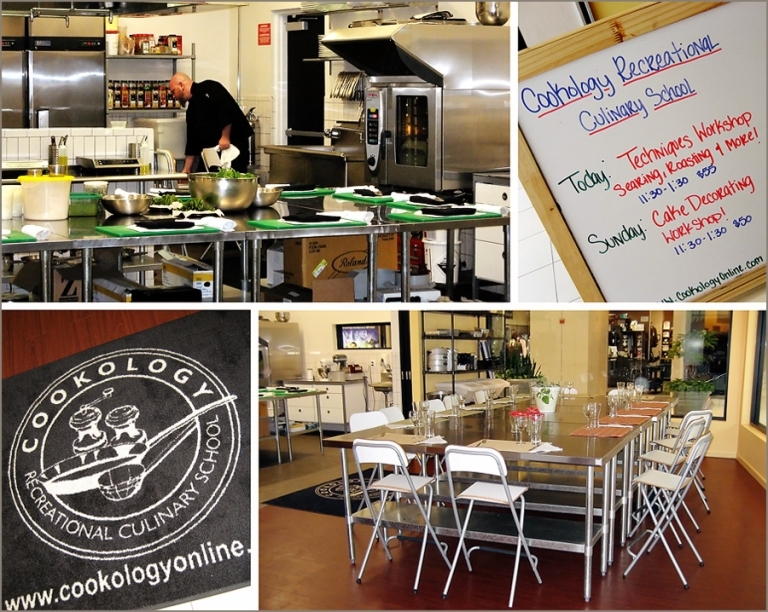 Take a Cooking Class – Check! #80 – Take a cooking class on my 101 in 1001 list probably should have been one of the first tasks I accomplished, because it’s downright sad how awful I am in the kitchen. But today I finally can check that task off of my list since I attended a Techniques Workshop at Cookology. The recreational culinary school is in Dulles Town Centre, so I figured it would be a convenient place to start my learning. The facility was big, bright and clean, with plenty of room and equipment for our class of around 12 or so. The course was taught by professionally trained chef, Ian Douglass, who studied at CIA in Hyde Park. We learned a few basic knife skills, searing, roasting, sauteing, etc. The class was two hours long, and we finished up by eating together in the dining area. Let me reiterate for those that don’t know me that well – I am a complete dummy in the kitchen, and have a hard time even making a successful piece of toast. The class was at a pace where even I could keep up pretty well, but I noticed several people seemed to have some basic culinary experience under their belts and they seemed to enjoy the instruction as well. I definitely learned plenty of new things to put into practice. Seeing these reminded me of the very first dish I tried to cook for Chris in my first apartment, where I thought a garlic bulb was the same as a garlic clove. 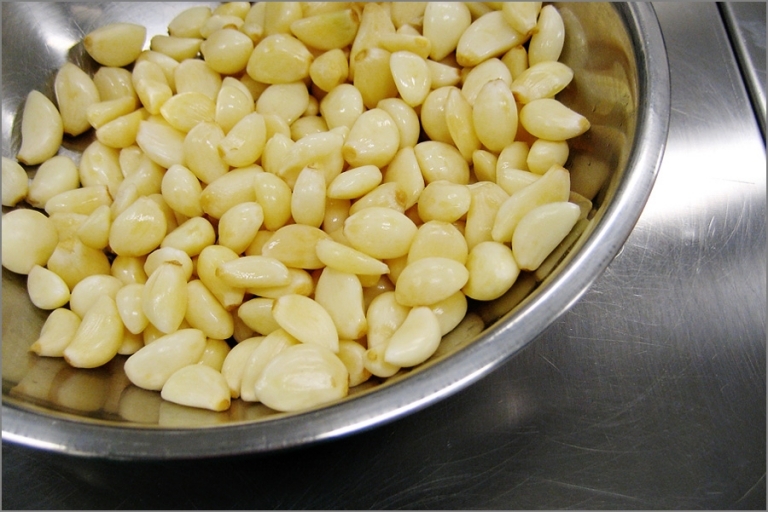 So in a recipe that called for two cloves of garlic, I used two bulbs by mistake. Yeah. My apartment was extra safe from vampires after that night. Okay, I’m going to give myself a little more credit than that – it was delicious! I brought leftovers home for Chris, and he approved as well. The most amazing thing to me was learning how to make rice. I’ve never been able to do it without ending up with a burnt solid mass or a starchy, cloudy soup. Chef Ian actually took my rice around and showed the rest of the class how their rice should look! Something I made was an example of how to do it instead of how NOT to do it. I couldn’t believe it. I’m planning to sign up for a few more courses to learn some additional skills, but I feel like I’m well on my way to being able to prepare something for dinner every now and then.